Vist the Ford Focus Owner Website! Some owners have reported various Ford Focus problems. While some problems are associated with manufacturer recalls, others are intermittent or owner-specific and easily repaired. First, a word regarding complaints, recalls, and investigated Ford Focus problems. Complaints - Complaints are usually submitted from Ford Focus owners to authorized Ford repair centers. The way Ford keeps track of these complaints is through their consumer survey system. For example, if a Ford Focus is in for repairs, the dealership computer system that connects to Ford Motor Company automatically sends the owner on file a survey. The survey is where customers register their complaints. Not all complaints gain an investigation by Ford, especially if the repair center was able to repair the area of concern. Recalls - Recalls are issued by Ford Motor Company and are determined by engineers who repeatedly see similar components repaired time after time. In addition, if Ford engineers find a problem with a component, they will issue a recall. Recall notices are sent to the owner on file and recall repairs are free. Investigated Problems - From time to time, a customer may have their vehicle in the repair shop for the same problem over and over. When this happens and no resolution or fix can be found by the certified technician, the repair center will communicate with Ford technical advisors to help repair the vehicle to the customer's satisfaction. These are considered investigated problems. Some of these investigated problems become recalls and others are chalked up to failed components. My Car Stats offered these areas of concern by model year. Included in this chart are complaints and recalls issued. The amount of complaints and recalls issued decreases with each new the model year. All cars, including the Ford Focus will have complaint areas and components that need to be revisited upon introduction to the public. Vehicle owners need to be aware that because the Ford Focus has had many consumer complaints, it doesn't mean efforts were ignored by repair facilities or the auto manufacturer. Just with any other product that is mass-produced, often the product requires some tweaking. There are a few ways you can check to see if your Ford Focus has a recall. First, visit your local Ford dealer to ensure that Ford has your correct mailing or email address. 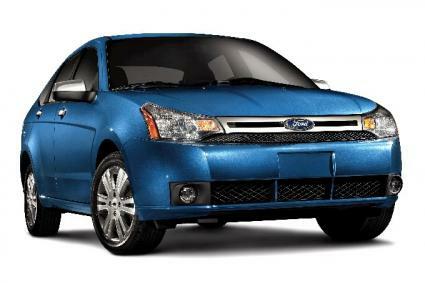 Ford utilizes both emails and snail mail to notify Ford Focus owners of recalls. Another way you can determine if your vehicle has an open recall that has not been repaired is to visit My Car Stats and search for recalls issued for your model year. My Car Stats will tell you what the recalls are, but they do not tell you if your exact vehicle is affected. However, if a recall is for a lighting system and you are having a lighting problem on your Ford Focus, it's best to have a Ford authorized repair facility check it out. Finally, visit The Ford Owner website. Here you have two choices. First, you can create a user name and password to ensure you are notified of all recalls, which is recommended. Second, get the seventeen-digit vehicle identification number or VIN from your Ford Focus and enter it in the provided space and hit Find My Vehicle. If you have a recall, the Ford Owner website will let you know. With fifty-eight recalls for the Ford Focus issued by Ford Motor Company from model years 2000 to 2008, it is important to find out if your vehicle is affected and in need of repair. Remember that all Ford Focus issues are not recalls, nor are all complaints investigated by Ford. Keep in mind that today's vehicles are full of computerized components and complex parts. Ford strives to improve on their systems with each model year by issuing recalls and relying on their authorized technicians and technical service advisors>.